crumbs wrote: Who won the sponsored goodies? 3rd highest on the day....no complaints from me. Golf R20 owner and Self proclaimed Gymkarting KING!! So as far as I can see the Polo 6R1.2 is the winner of the gauge and pod unless the Polo classic was a TDI? Well done JoJo, 300wkw is the new 300whp setting the bar high! 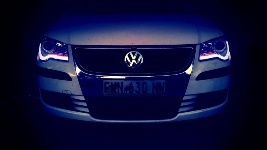 hubbly_bubbly wrote: Well done JoJo, 300wkw is the new 300whp setting the bar high! Correction for me too as well. No:52, correct spelling is Keegan Appanna as stated on the forms. I beleive its Revo Stage 4 so maybe checking the website might give some details into the hardware requirements. If im not mistaken its an IS38 turbo and all the sugar and spice required but on stock internals? Sorry im on my own mission, thinking of JoJo's car!